Woo hoo its fall, which means cozy socks, soft sweaters, warm spices, and fall flavors! 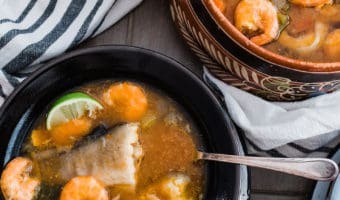 When trying to decide what dish to make this year to celebrate Dia de los Muertos (Day of the Dead), I wanted to make something that exudes fall flavors and of course a dish to honor my grandma. All I could think of was pumpkin and tamales, so pumpkin tamales it became! Then I had to decide if I wanted to make sweet or savory tamales. I turned to my Facebook and Instagram amigos and the majority voted for sweet; so, these tamales are sweet, but not too sweet. 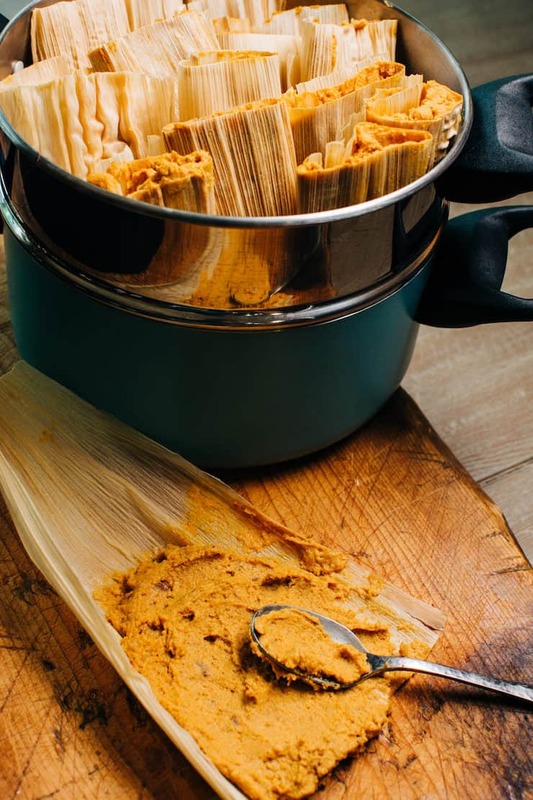 These Pumpkin Spice Tamales are inspired by my favorite coffee drink, yes, you guessed it — the famous pumpkin spice latte. Picture this…Can you imagine if a classic American pumpkin pie and Mexican tamales had a baby? You’d get these exotic beauties. These Pumpkin Spice Tamales are great to serve after dinner or to enjoy with a cup of coffee for breakfast. 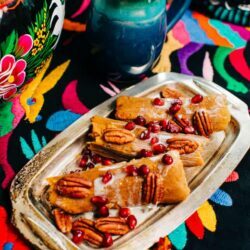 These pumpkin tamales taste very similar to a pumpkin bread with chopped pecans. 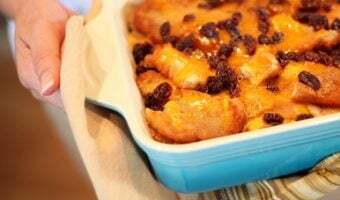 I especially love them drizzled with sweet condensed milk, sprinkled with pecan halves, and pomegranate seeds for a festive touch. 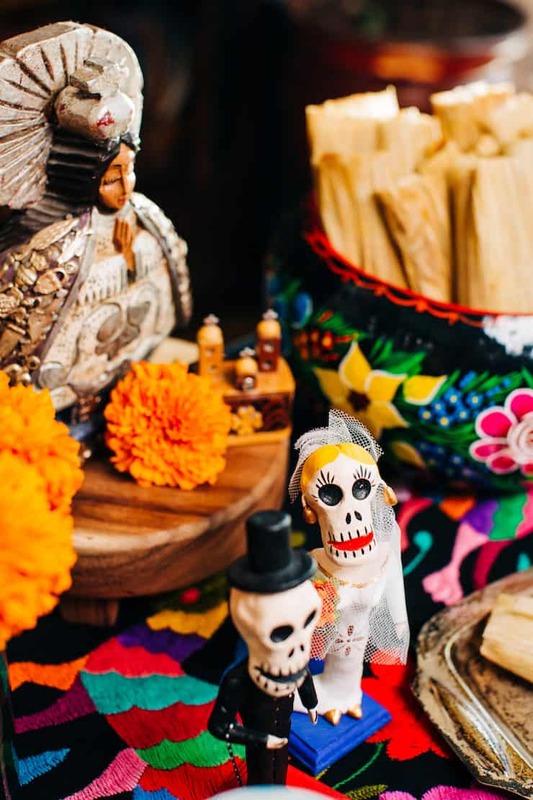 If you’d like to celebrate Dia de los Muertos and trying to decide what recipe to make, try making tamales. 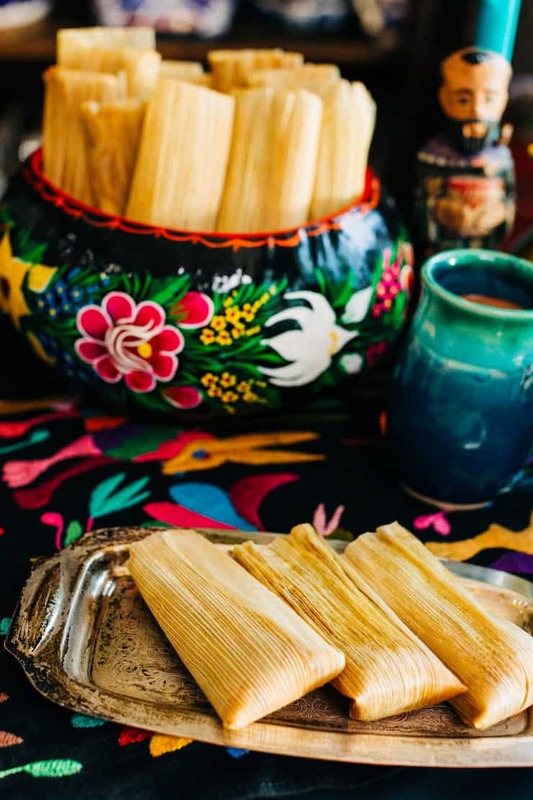 Even if you have never made tamales before, I promise you that you will succeed with this recipe. 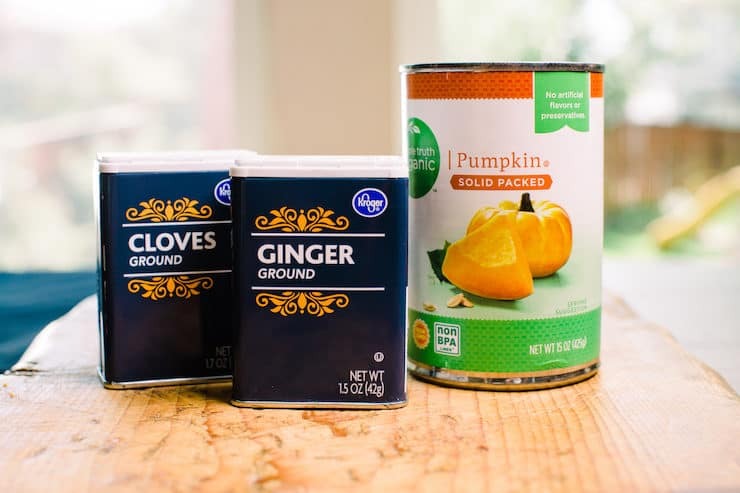 The main ingredients are corn flour, canned pumpkin, pecans, and some fall spices like cinnamon, nutmeg, ginger, and cloves. I’m guessing you might even have some of these spices in your spice cabinet begging to be used. 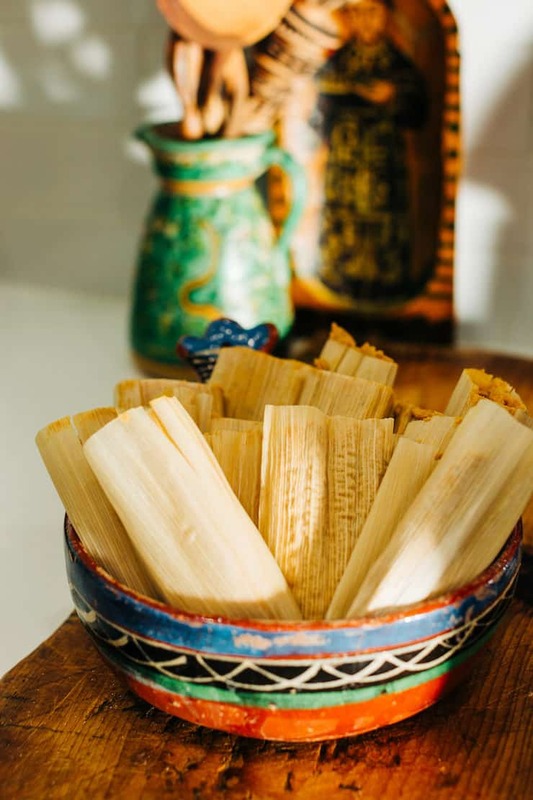 This recipe makes a little over one dozen tamales, which is perfectly doable any day of the week and is a very simple recipe. 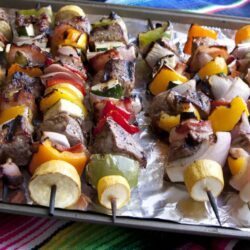 The best part about this recipe is that it does not require a special trip to the Latin market. I purchased all my ingredients at King Soopers, family of Kroger stores. While making these tamales, my mom and I listened to classic mariachi music, and as the tamales steamed, I set up a mini altar. My home smelled like a warm hug from my grandma. My mom and I shared stories of her and remembered her dancing in her kitchen as she cooked. Making dishes that remind you of a loved one who has passed is very therapeutic and I hope these tamales inspire you to make something special for your dearly departed. 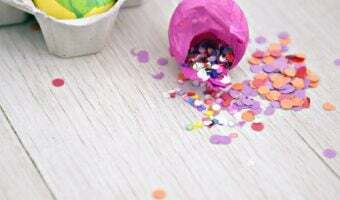 If you want to set up an altar, remember it can be very intimate and does not need to be elaborate. 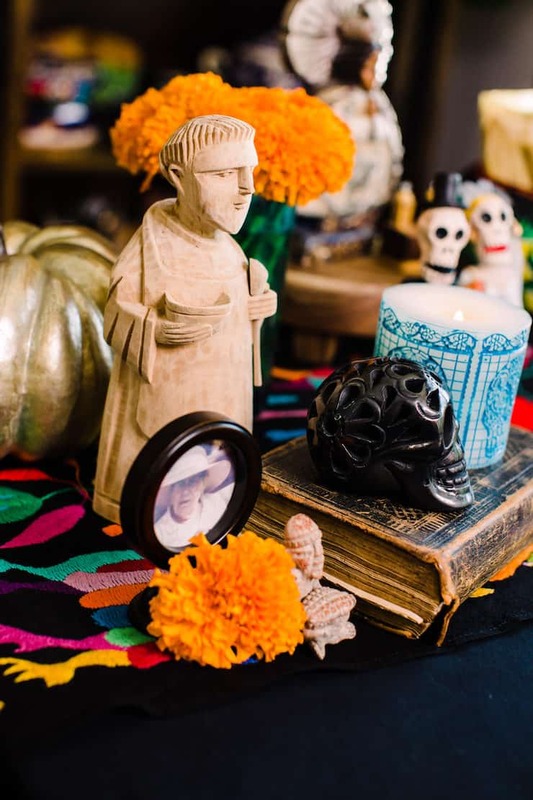 Check out this blog post for elements to include on your altar, such as sugar skulls. 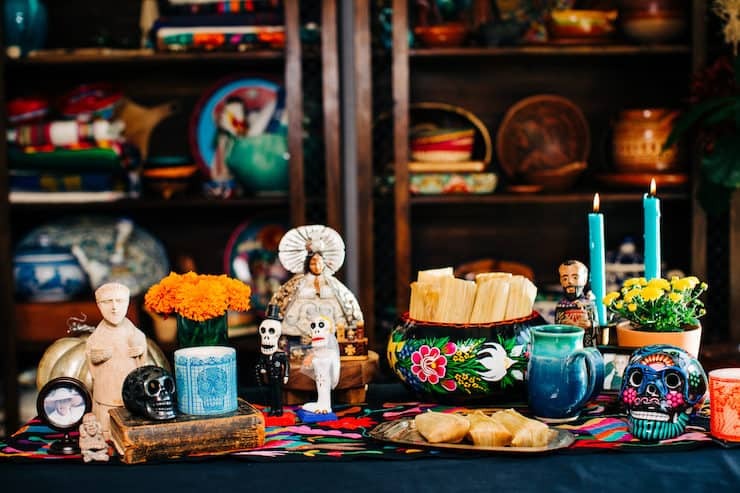 Celebrating this special day can be as simple as placing a photo of a loved one and making their favorite dish in their honor or making a traditional Dia de los Muertos dish to celebrate this holiday, such as tamales. 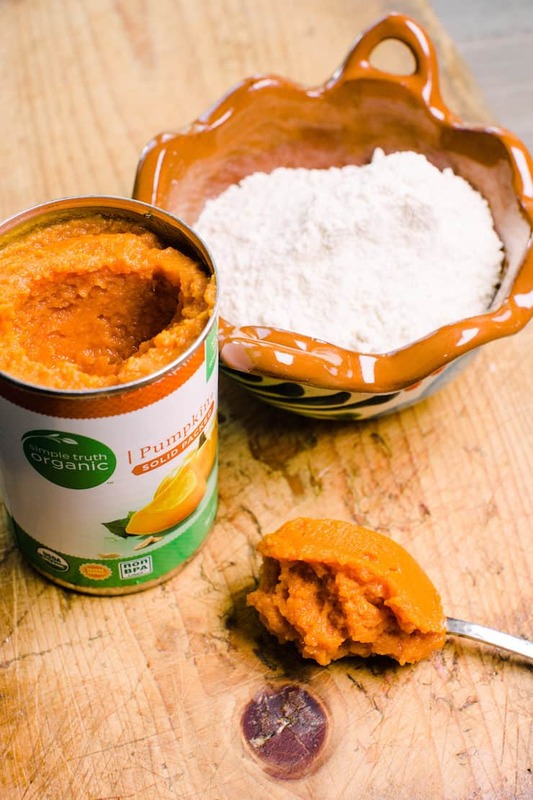 Watch this video below see how simple these sweet pumpkin spice tamales are made. Can you imagine if a classic American pumpkin pie and Mexican tamales had a baby? You’d get these exotic beauties. These Pumpkin Spice Tamales are great to serve after dinner or to enjoy with a cup of coffee for breakfast. These pumpkin tamales taste very similar to a pumpkin bread with chopped pecans. I especially love them drizzled with sweet condensed milk, sprinkled with pecan halves, and pomegranate seeds for a festive touch. Soak husks in warm water for about 30 minutes to soften. Remove husks from water; pat dry. 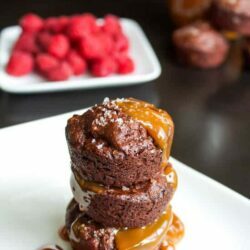 In a stand mixer, beat together masa harina, butter, sugar, baking powder, salt, and spices until well combined. Beat in vanilla, pecans, pumpkin, and slowly add in the milk until the masa is the consistency of peanut butter. Spread about 2 tablespoons of mixture in the center of each corn husk. Bring in the sides of the corn husks, then fold in both ends to enclose filling. Lay each tamal fold-side down. Once the tamales are folded place each tamale standing open-side-up in a steamer on the steam tray rack. 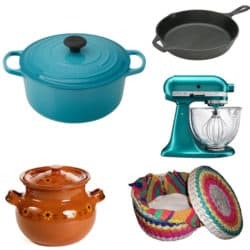 Add enough water as needed for your steamer and bring water to a boil. Lower heat to low and steam with the lid on for 1 to 1 1/2 hours. 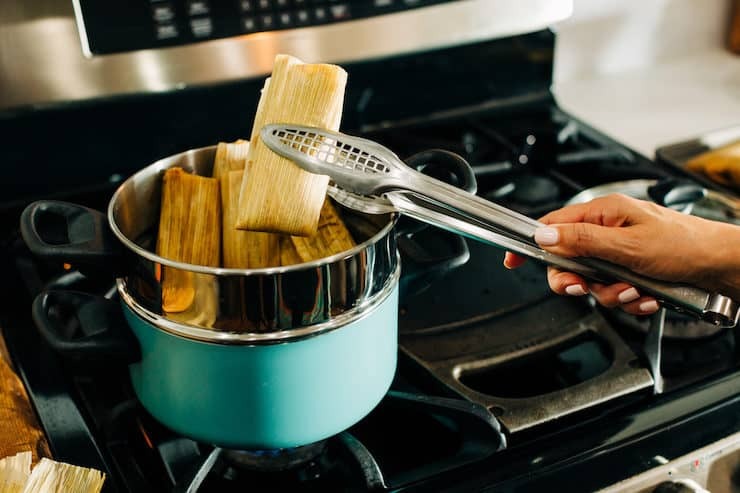 Remove each tamal carefully with tongs and let cool slightly. 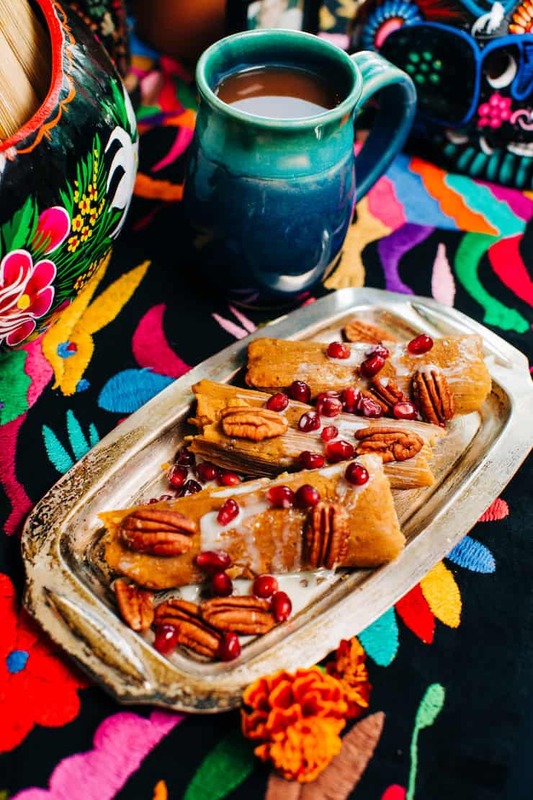 Serve warm tamales drizzled with condensed milk and sprinkled with pecans and pomegranate seeds. 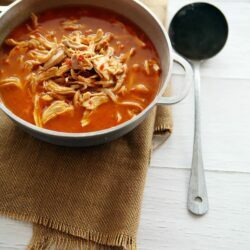 What a great Day of the Dead recipe. 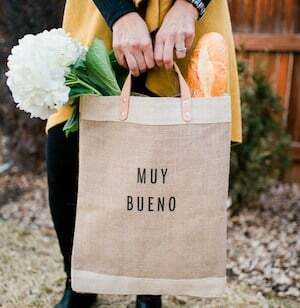 I’m going to make this for my Spanish club.